Here we are ! After months of suppositions, evaluation and wild guesses, the CL Final is just around the corner: Pep Guardiola’s Bayern will watch it on TV as Real’s Madrid galacticos; not another classico for BBC (Bale-Benjema-Christiano) either. Barcelona’s incredible squad, will take Serie’s A Champions Juventus, an old lady maybe, but young enough to come to the Final with hopes of her own. Juventus gatecrashed the Final, thus depriving lots of fans of an all Spanish el-classico party,after a convincing demonstration of Italian defending. Will they play again the underdog against Europe’s best attack ? Their trump card Chiellini, is injured and out for the game; this is a heavy blow for the Bianconeri, for he could (or at least try to) help the defense, even if sometimes lacks coördination and prone to concede a penalty. 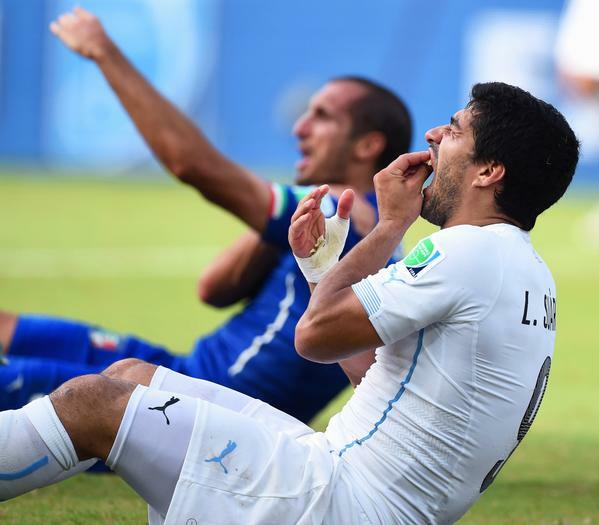 This injury will also deprive the supporters of an interesting encounter between the two … Do you remember Suarez biting Chiellini during the World Cup in Brazil? Dutch legend Marco Van Basten, was part of the AC Milan winners against Barça, 4-0 back in 1994. 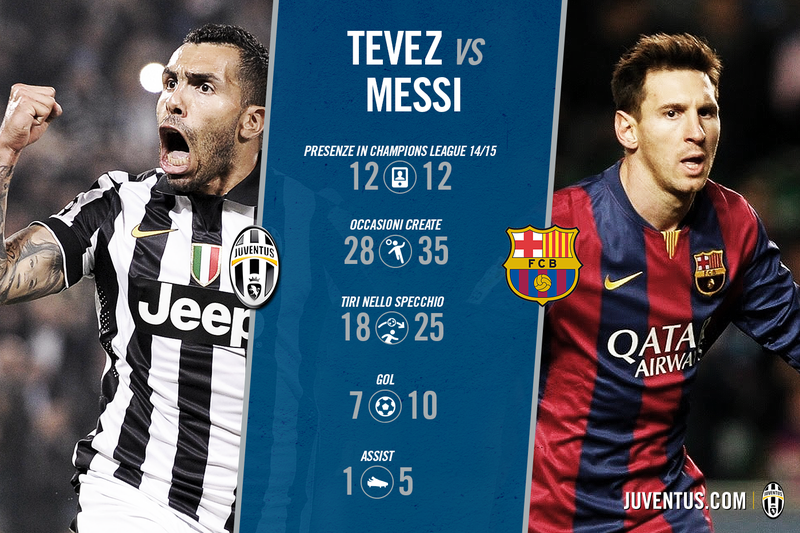 He thinks that Juventus must defend deep, concede possession and deny Messi space. 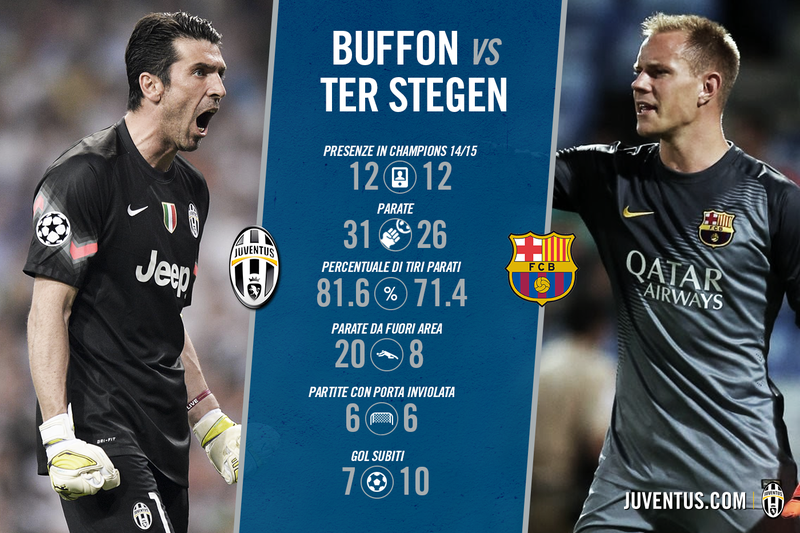 “ Juventus must stay close, mark very tight, deny space and most of all, they must stay concentrated. 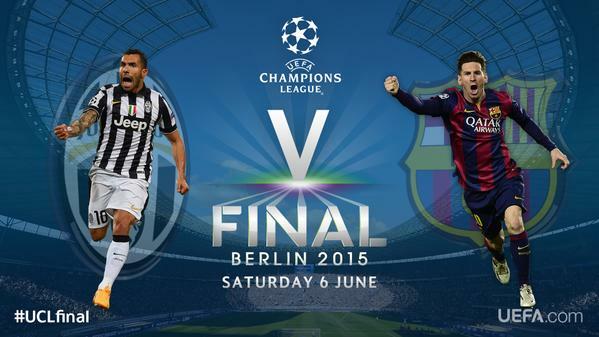 If they can do that, Juventus can win,” he said to Italian media La Gazetta delo Sporto. Nevertheless, there going to be plenty of reasons to spent an enjoyable even exciting two hours game this Saturday evening; plenty of duels to enjoy and some interesting side-shows, like the Neymar-Pogba one: both are of the same generation, as well as two future superstars, like the current Messi-Ronaldo duet. Another one will be Iniesta vs Pirlo, two headmasters of the beautiful game, and what about the Messi- Tevez face to face meeting? The two Argentinians will be part of their country’s National team this summer in Coppa America. This should be an interesting contest, for both of them. So there’s Juventus and there’s Barça’s lethal trio; an Argentine, a Brazilian and a Uruguayan, the much feared MNS( Messi- Neymar-Suarez). Three of the biggest names in the football world and of course prone to egos’ clashes. Well that didn’t happen and Barcelona’s supporters are in Football’s Paradise. After some teething problems in the first weeks of their collaboration, each one of them found his marks on the pitch and the rest is history. Barcelona is no more “one man’s team” even if the term is a bit strong, but now with more than 120 goals between them, the sky’s the limit ! Juventus coach Massimo Allegri, is likely to field a 4-3-1-2 formation for this Final, but switching to 4-4-2 in defensive phases, could help to limit Messi’s incursions, at least on paper. Ancelotti’s Real Madrid and Simeone’s Athletico Madrid, tried with success this combination last season, but then the MNS weren’t on the pitch, so wait and see. There will be also tears and emotion: Barça’s legend Xavi last game with the Blaugrana,Gigi’s Buffon and Pirlo’s come back to the Stadium where they were sacred World Champion 2OO6; the stage is set, let the game begin! ‹ Silly Season Is Back (2)! Ligue 1, Premier League, La Liga and Serie A , News and Rumors. Tottenham’s Fans Meet Your Opponent : FC Internazionale Milano!